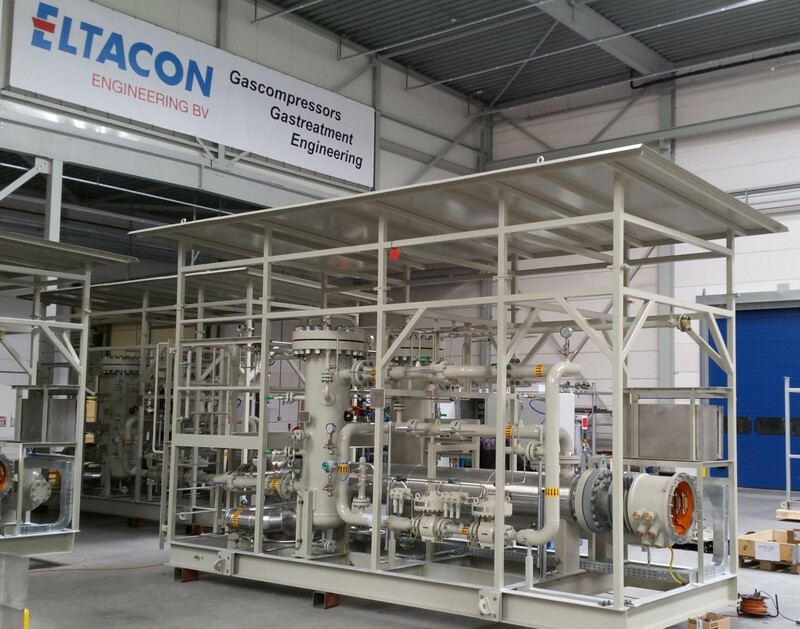 For gas pressure reduction section Eltacon Engineering B.V. uses pilot operated reduction valves. The downstream pressure will be controlled to a pre-set value independent from supply pressure and flow rate. This principle can be used for fuel gas pressure control upstream turbines and engines or for safeguarding of a downstream piping section or network. The pressure reduction section is configured according EN-12186, using active- and monitoring valves as well as slam shut valves for additional safety. 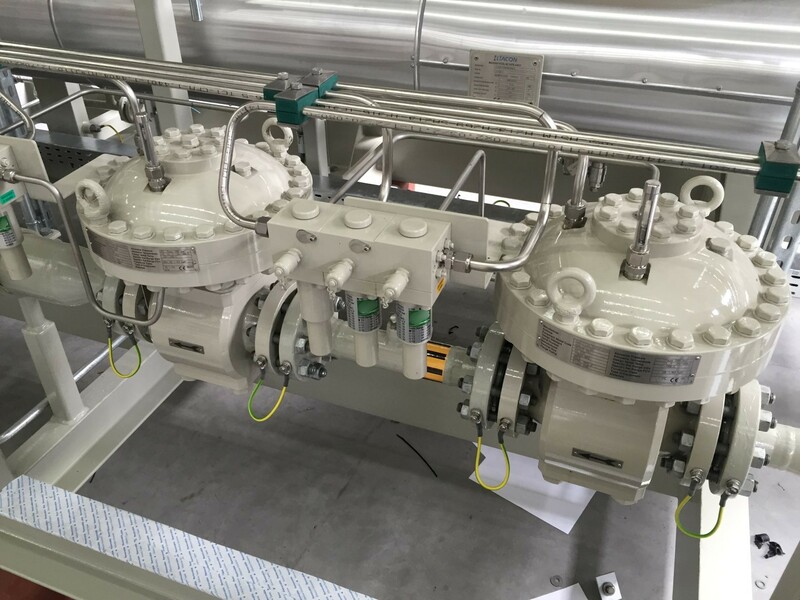 When configured as monitoring valve, the pressure regulator is intended to be used as both downstream pressure protection and pressure control, enabling continuous operation.